Porcelanosa’s Flagship Showroom has been awarded the ENR New York’s 2016 Award of Merit for best Retail Project of the year. The building previously known as the Commodore Criterion was redesigned by Foster+Partners and opened its doors in 2015. 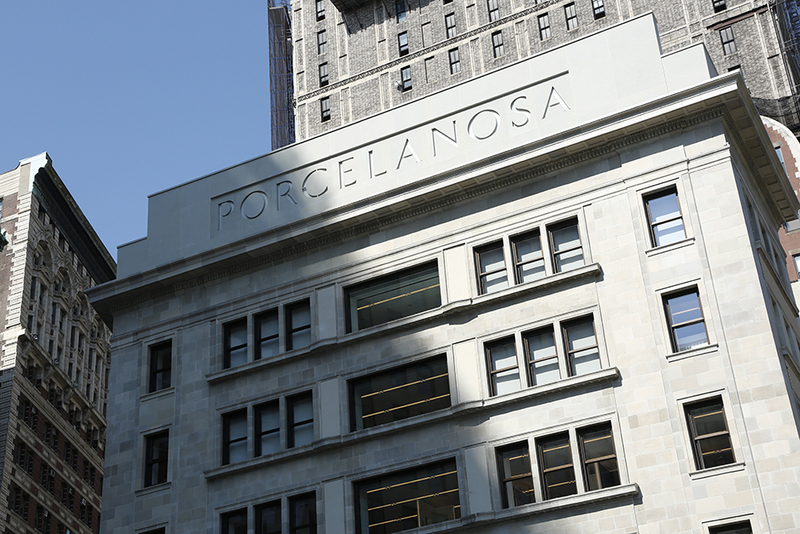 Porcelanosa’s Flagship Showroom is located opposite to the Flatiron Building next to Madison Square Park. The 18,000 square feet building features high permeability due to the large number and sizes of windows. 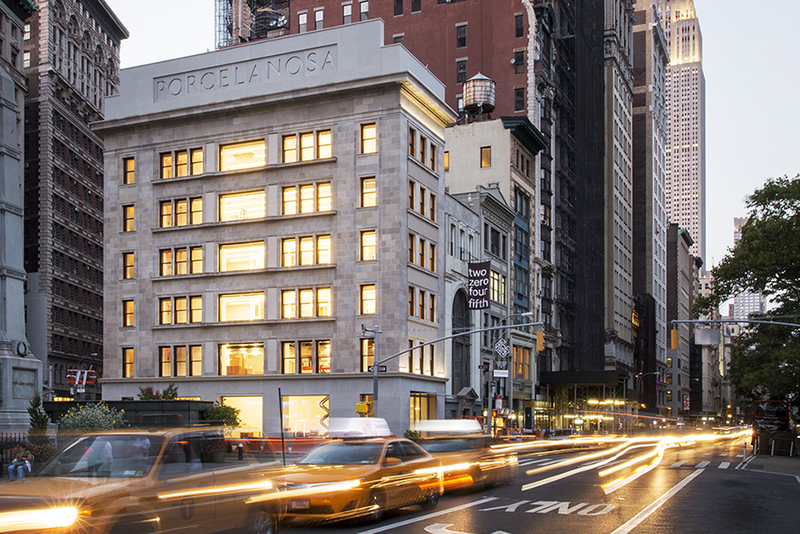 In line with the protected landmark status of the building, Foster+Partners refurbished the façade, reinstated the original design, relocated the main entrance on Fifth Avenue, and restored old openings to allow natural light to flood the interior. The cellar features full size kitchen displays and a 6’x8′ LCD screen that allows customers to create a room by selecting Porcelanosa products in order to visualize a finished space before it is built. A stunning 26’x16′ LED screen spans the first and second levels of the building. The entrance contains a reception desk made of natural stone slabs and KRION® Solid Surface retractable ceiling. The second level features a cafe/lounge area for clients. The third and fourth levels contain life size bathroom vignettes. The fifth level houses sales team offices. The sixth level is the professional lab, used to display over 1,000 products, and the seventh level is used for conferences. 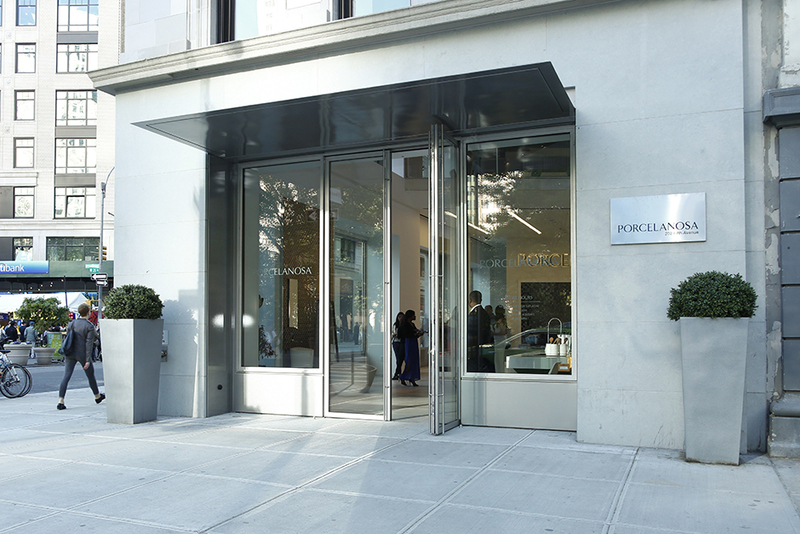 Visit the award winning Porcelanosa Flagship showroom to start on your next project today! *Click and hold the mouse to drag in a 360 degree motion. To learn more about the building’s history and read about the development of the showroom CLICK HERE.